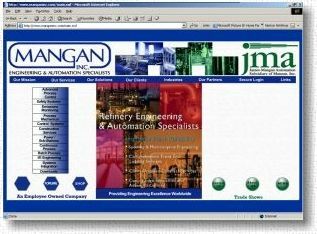 Network Consultants Of Texas produces artful & cost effective websites for our clients. We create all graphics and page layouts based on close collaboration with our clients. Below are a few of our currently up and running sites as well as some older sites of noteable quality. 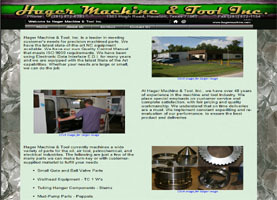 Hager Machine & Tool, Inc. is fully equipped with the latest in CNC manufacturing machines, as well as an array of precision manufacturing tools and inspection equipment. 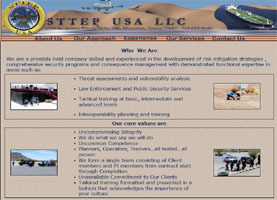 We are a privately held company skilled and experienced in the development of risk mitigation strategies , comprehensive security programs and consequence management with demonstrated functional expertise in areas such as threat assessments and vulnerability analysis. Instr-measure specializes in component level repair for a wide variety of electrical and electronic test equipment like meters, indicators and calibration of pressure instruments. 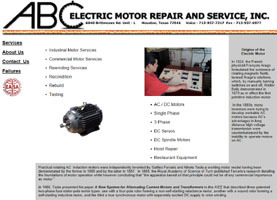 ABC Electric Motors completely rebuilds all electric motors from commercial blenders to very large electric generators. This site also includes a complete page for visual troubleshooting. 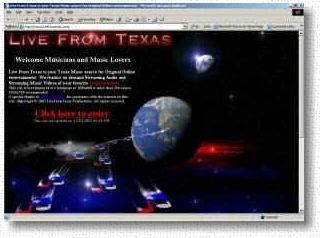 A streaming video site. We are dedicated to the promotion of original singer songwriters, Bands and Comedians who have perfected their craft and would not ordinarily have a venue for having their videos seen in mass distribution. This is truly a broadband site, in that we develop video at 300k or better, and audio at 128k or better. 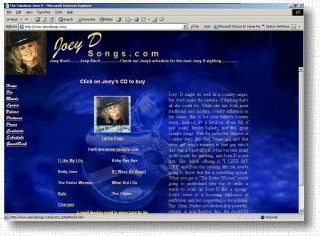 This site has been around since 1997 and is truly one of a kind! with over 100 hours of streaming video free to the viewers and musicians that play here. 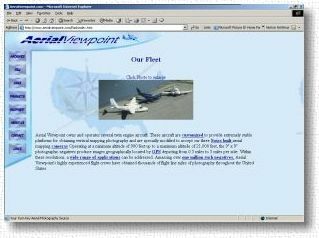 Since 1987, Aerial Viewpoint has provided the highest quality vertical format aerial photography to Civil and Environmental Engineers, developers, commercial and residential real estate professionals, government agencies and mapping organizations nationwide. They have one of the largest collections of Current & Historical Images in the nation. In addition to the cool graphics and animated flash interface we built a custom database that searches their entire stock footage library.